It is estimated that tens of thousands of patients in Kentucky have inferior vena cava (IVC) filters. Many surgeons have been implanting IVC filters since the early 1990s. Most major hospitals in Kentucky including Norton Hospital, Baptist Health Hospital, Jewish Hospital, University of Louisville Hospital, UK Hospital and ARH have conducted implants of IVC filters in patients for decades. While IVC filters have saved the lives of some patients, they have created serious medical problems and fatalities for other patients. 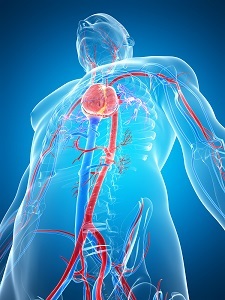 Our firm is still accepting cases involved IVC filter injuries. We are actively involved in litigating cases involving Bard IVC filters and Cook IVC filters, and we are investigating claims against all IVC filter manufacturers. We represent clients who have injuries ranging from pain resulting from IVC filters that are irretrievable to patients who have died as a result of their IVC filter migrating and piercing their inferior vena cava. Twenty years ago, IVC filters were thought to be completely safe. They were considered a permanent implant in patients. IVC filters are designed to prevent blood clots from entering a patient’s kidneys, lungs, heart, and brain by catching clots within a patient’s bloodstream and allowing them to breakdown over time. However, many of these IVC filters fail their patients by eroding through their inferior vena cava and other body parts. Often time the IVC filter will become embedded within the IVC wall. It that point it may be irretrievable. Attempting to remove an IVC filer that has eroded and migrated takes incredible surgical skill and expertise. Very few surgeons will even attempt such a surgery. Interventional radiologists specializing in vascular disease and management of complex IVC filter injury cases are often sought in such circumstances. However, even they are unable to help every victim of a failed IVC filter. These symptoms and conditions may result in stroke or death. Recently, our firm was contacted by a client that suffered a brain injury due to an IVC filter piercing the intestines after migrating from its implant site. The IVC filter caused a slow leak of bowel contents that caused the patient to become septic. While surgeons were searching for the cause of the sepsis, the patient went into septic shock resulting in a loss of oxygen to the brain. Unfortunately, this led to a severe and permanent loss of cognitive function. Additionally, our firm recently filed a case for another IVC filter victim who died as a result of an IVC filter becoming dislodged and piercing the main artery, resulting in massive blood loss. Both of these clients were victims of the IVC manufacturers’ alleged negligence in constructing and marketing an unsafe device to the public and medical community. Our firm is arguing that IVC manufacturers hid results of their own research which had shown that their filters were dangerous. If you or a loved one has questions concerning your IVC filter injuries, then we encourage you to contact us directly for a free consultation. We are available to take your call at any time of the day, every day, and we would be pleased to set up a time to talk to you more about your injury or the loss of your loved one. We can determine what filter you had implanted and whether you have a claim for damages. Then, we can take action on your behalf to help you get the full and fair recovery that you deserve.